We thank Bill Coughlin for his support of these Burnaby Real Estate Updates which include sub-areas such as East Burnaby, Capitol Hill BN, South Slope, Government Road, Deer Lake etc. Contact Bill as the Local Expert.... more details. 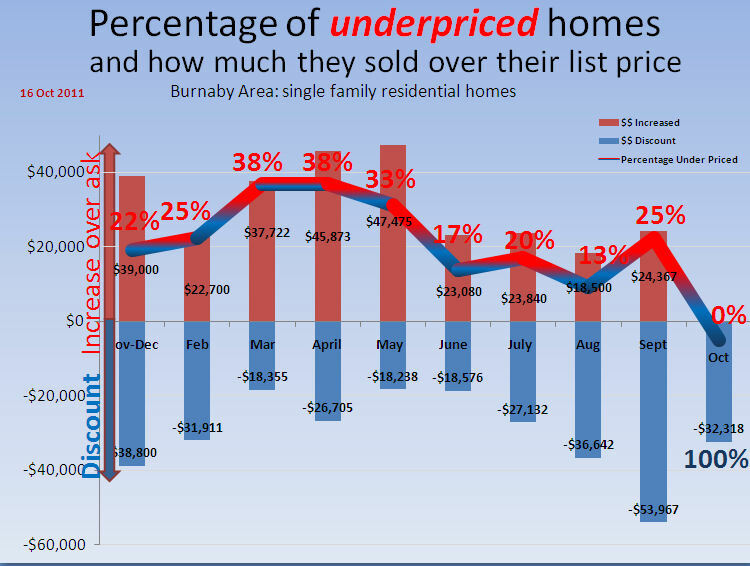 This Burnaby Real Estate Market update includes the sub areas Government Road, Deer Lake, East Burnaby, Capitol Hill BN, South Slope etc. 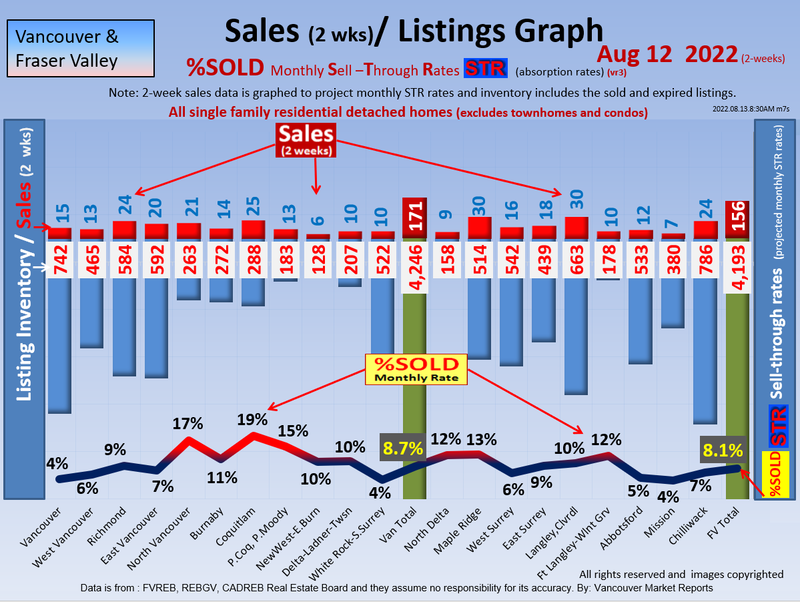 This is the most accurate %SOLD-Monthly Sell Through Rates (STR Graph) using a 4 week time period to analysis the housing prices and Market trends. This Market Report is derived from the exact Sat to Friday 4 week time periods and this is dramatically more accurate than the month to month comparisons that vary based on actual working days eg month, weekends. 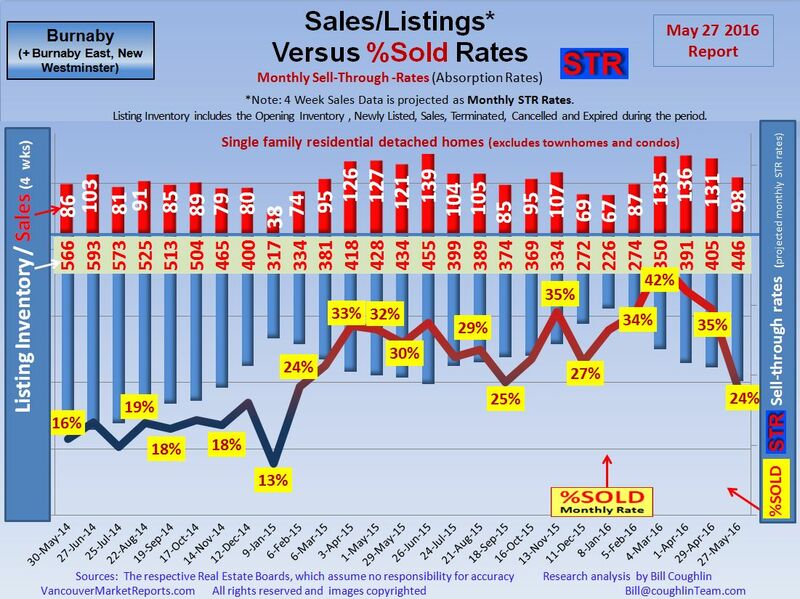 These trends enable Real Estate Market predictions and forecast outlooks. 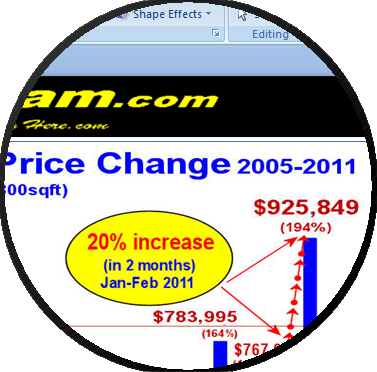 Disclaimer: Market predictions are exactly that: predictions. Market conditions are changing daily and you should consult with your local expert to confirm facts before making any decisions. Developers, Investors, Realtors or Financial Advisers. Now you can be informed of the market changes as they happen. 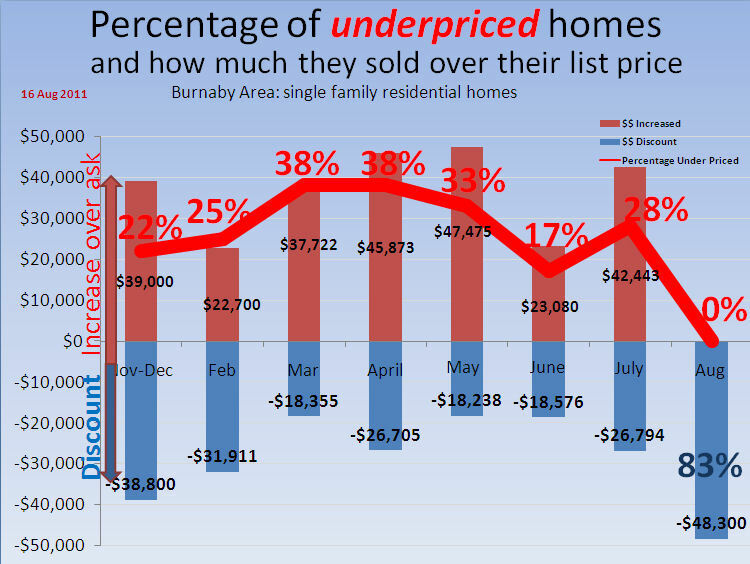 Each month we analyze the Real Estate Supply and Demand for 22 cities in the lower mainland: Vancouver to Chilliwack and we make the forecasts for the following month or more. People really want to know if the market is going up or down in the next quarter, and why not; a mistake could cost them 1,000's of their after tax equity! Let me show you my extensive analyzing of the LOCAL neighborhood market areas and market projections.